The Provincial Disaster Risk Reduction and Management Office (PDRRMO) in Bohol has started preparations for the possible effects of Super Typhoon Mangkhut to the province, although the weather disturbance was projected to hit the extreme northern region of the country as early as Friday. According to PDRRMO chief Anthony Damalerio, they have prepared 9,743 relief packs to add to emergency goods readied by the Department of Social Welfare and Development in Bohol and the Tagbilaran City government. The Provincial Health Office prepared medical teams which will respond to emergency situations while TaRSIER 117 activated its substations and alerted its personnel including search and rescue teams, Damalerio said. The Philippine Atmospheric, Geophysical and Astronomical Services Administration (PAGASA) has warned of heavy rainfall in the province amid the onslaught of Manghkut in the northern region, said Damalerio. “Ang pronouncement sa PAGASA heavy rainfall lang ta diri sa atoa,” he added. 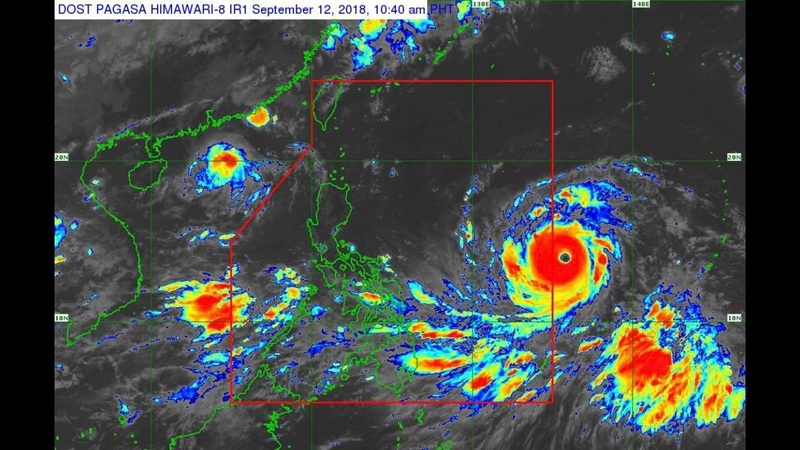 Mangkhut was projected to enter the Philippine Area of Responsibility (PAR) as Ompong on Wednesday afternoon. The Joint Typhoon Warning Center has upgraded Mangkhut to a super typhoon category as of Tuesday afternoon, as the weather bureau of the US Navy estimated maximum sustained winds of 135 knots or 250 kilometers per hour and gusts of up to 165 knots or 135 kph. PAGASA, however, has yet to upgrade the typhoon’s status as super typhoons are categorized by the Philippine weather bureau as cyclones with winds of more than 220 kph. So far, there have been no official cancellation of classes in Bohol for Thursday, although Damalerio continued to coordinate with the Department of Education.